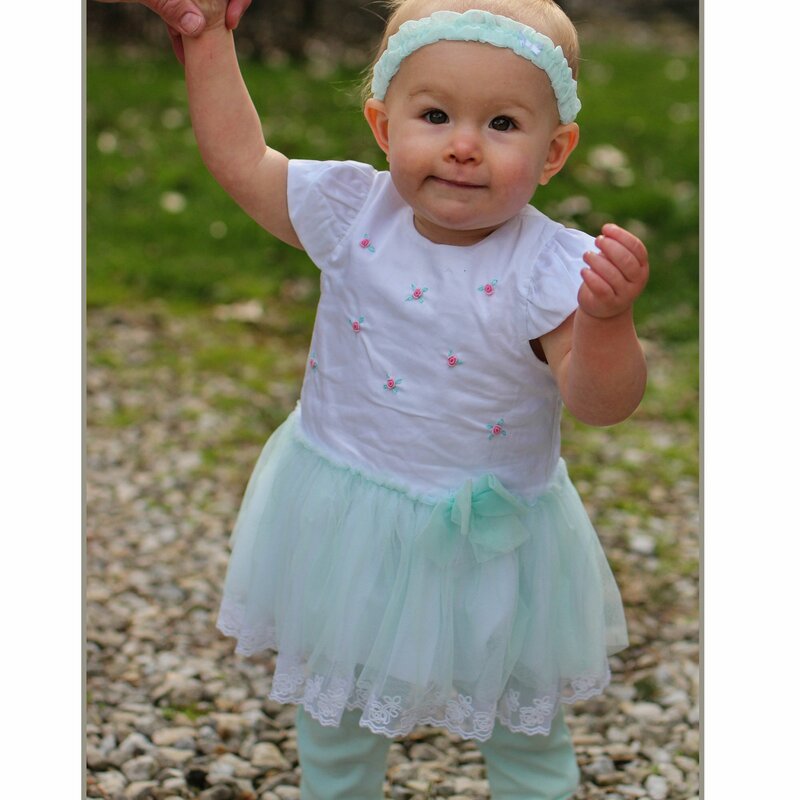 A perfect little outfit for spring and summer outings that is almost as sweet as your little girl. This "Fancy Floral" 3 piece ensemble consists of a 100% cotton tunic top with pull up mint green leggings. 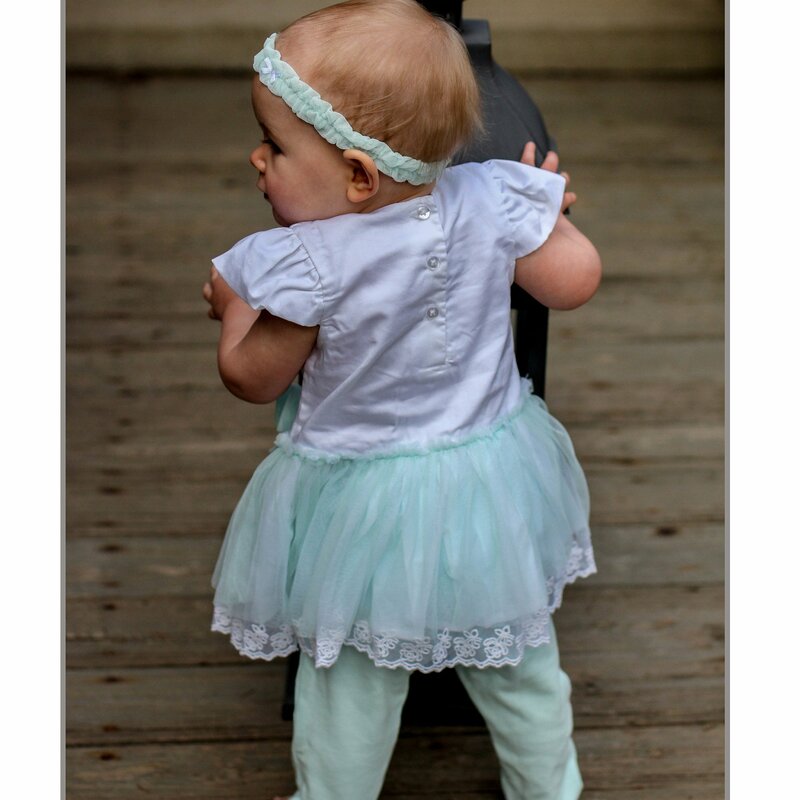 Completing the outfit is a matching mint green stretchy headband. Top features sweet little embroidered roses scattered about the white bodice and pouf princess sleeves. A layer of soft mint tulle overlays another layer of white tulle that is finished with vintage lace that creates the skirt of the tunic top. Pull up pants and the matching headband complete the look from head to toe. A great ensemble that's perfect for the Easter holiday or any special occasion. Twins? Coordinate your girls with this outfit and the Fancy Floral Dress and Diaper Cover set. Size: Select One 3 mos. 6 mos. 9 mos. 12 mos.